Sales development is one of the fastest growing careers in the United States. It is fast-paced, often on the leading edge of technology, and people in the role have the possibility of making a ton of money! Unlike accounting, medicine, or law, most salespeople do not study their profession in college. Instead, they are tossed into the fray without much training, context, or support, and are left to sink or swim. This method proves neither efficient or effective for the individual or the company. I have the print book and picked this up for my commute. Narrator made it great listen, too. I have been listening to it for the last week and it help me in ways I did not even expect. Recently I started my first hiring process as an SDR manager and your book taught me A LOT (capital letters don't even begins to describe how much :) ). From the hiring process that you so greatly described to how should I look at compensation, it really helped me in the last days when I was faced with new challenges. I would recommend this book to anyone who deals with Sales Development, Sales or just want to grow his business and his personal skills. This is the best sales book I've read. 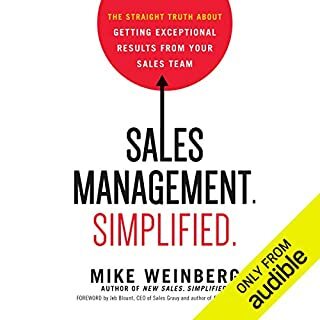 I revisit the audible and paperback versions often as our sales organization grows and changes. the PDFs are very handy as well! Great knowledge of building sales pipelines! Glad to listen to this book, awesome framework so you don't have to reinvent the wheel. Great for someone transitioning to a sales role! My Sales manager recommended this book when I accepted my first formal sales position. 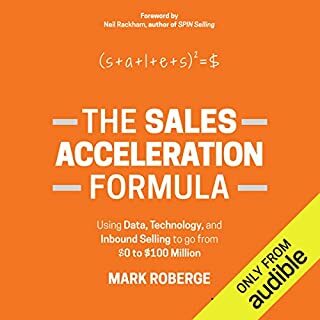 I highly recommend it for anyone moving into sales, even if you have some experience. It's definitely worth the time and the listen. Helped me.understand how to put together a sales team. I'll listen to it multiple times. it's really good insight for those of us from the third world trying to play catch up. So much is actionable. blue print for sales department managers, vp of marketing and vp of sales. Your time is your wealth! You will hemorrhage time with this lousy audiobook. Try something else...watch tv...go watch your favorite sitcom. If you're looking to improve results as an SDR manager or SDR. This is a must! Very pleased with the content and the delivery. Honest and don't to the Earth speaker. 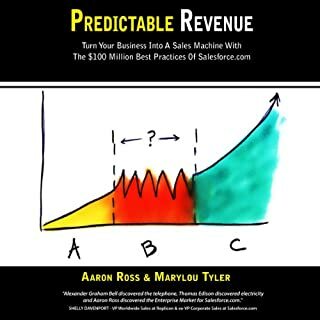 If you are in sales I definitely recommend this book! 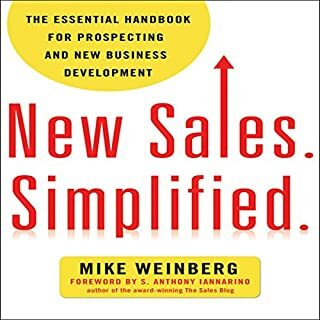 Great sales development book..it has certainly kept me motivated, he explains it very well and in detail and I think by any means It purely based on experience.. 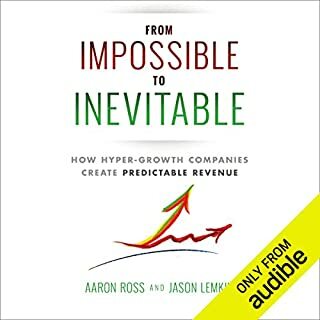 I enjoyed listening..Thanks but the audio book did get it's chapters mixed up lol, looking to grow your business and train your people, get the book it certainly help. I have listened to 5-6 books on sales/business development. 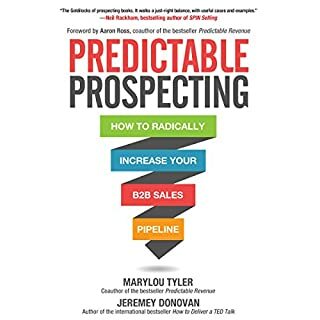 This had been on the end of my list because it was focused on inside sales based business growth which is not really my area of interest. 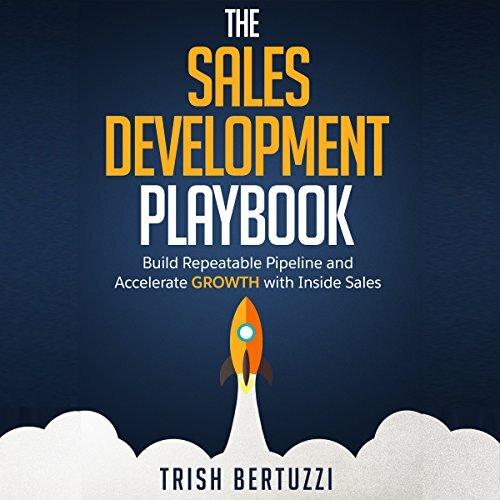 Firstly if you are looking for support, ideas, best practices for sales development driven by inside sales this book from start to finish has everything you need; from process, through hiring, through incentive plans etc. It really has everything from clearly someone who knows what they are talking about.